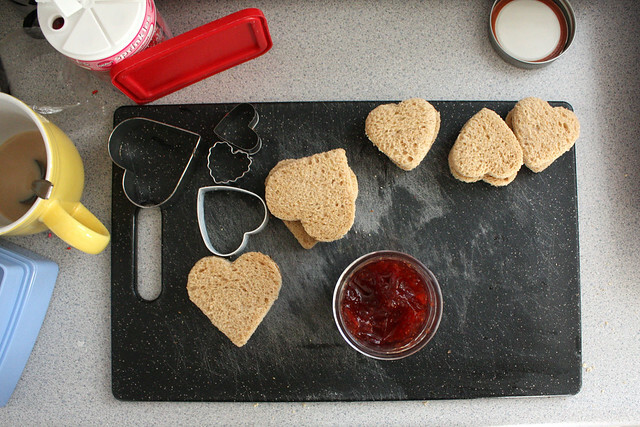 I went waaay overboard on the Valentine’s theming this year, but I love how the kids’ lunches came out. In fact, I couldn’t wait until Friday to share the bentos I made for the kids this morning so I’m coming at you with a special Valentine’s Day post! 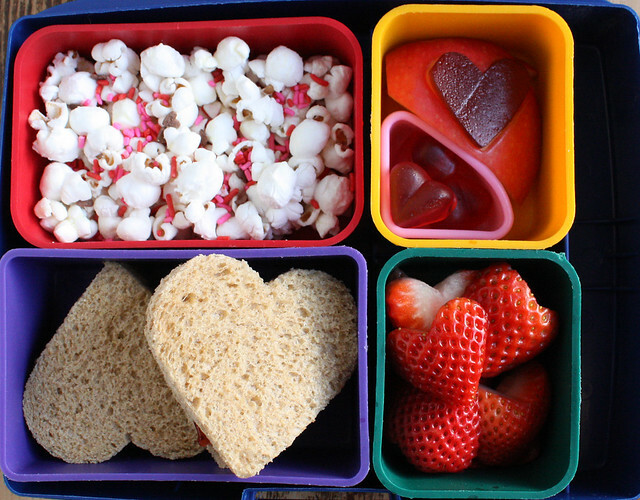 Wyatt’s lunch had popcorn with pink sprinkles, a few heart candies, an apple with a heart-shaped chunk cut out and a heart-shaped piece of fruit leather put in, heart-shaped strawberries and heart-shaped sandwiches. 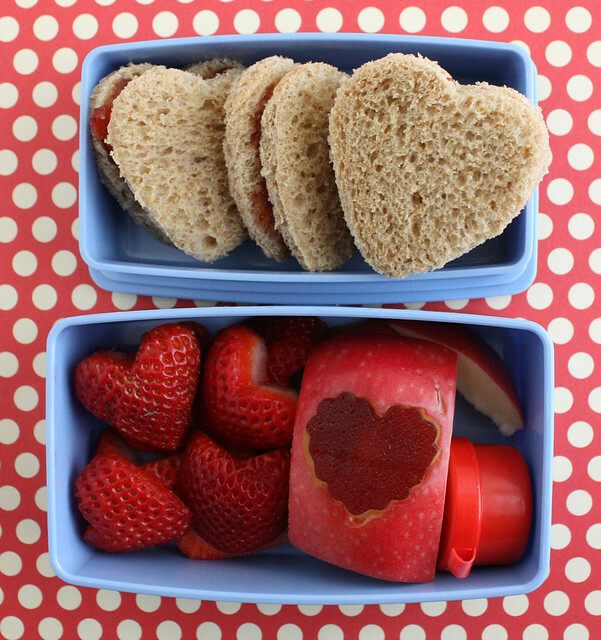 Augie also had a lovey dovey lunch: smaller heart-shaped sandwiches, strawberry hearts and an apple with the same treatment. He also has some apple slices below the big piece and a little tub of peanut butter for dipping. My work area even looked festive when I was making the lunches, so I had to take a picture. I also wanted to show you what my little stinkers did when I had my back turned at breakfast. 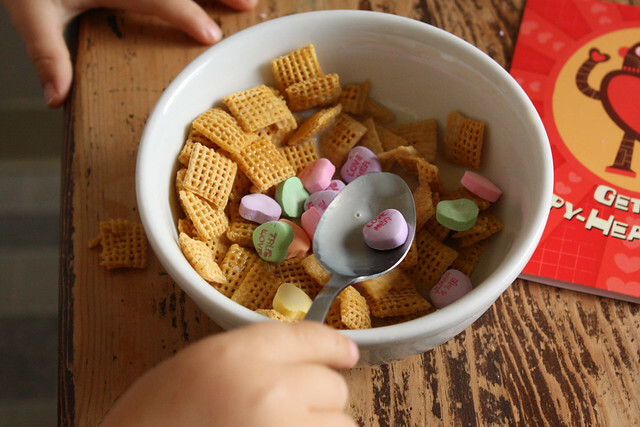 They put candy in their cereal. Naughty! 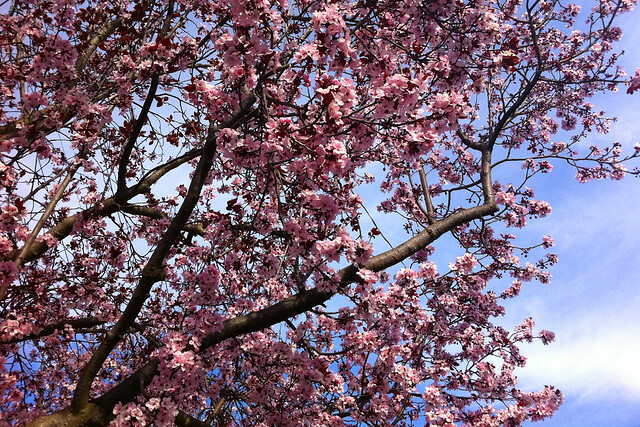 And finally, the fruit trees are all blooming here and I had to take a picture of their pink, Valentine-y loveliness on my walk this morning.